Study English conversation skills with one of YouTube's most popular English as a Second (or third!) Language teachers, Rachel of Rachel's English. Most beneficial for intermediate to advanced students, Rachel's specialty is the nuance and musicality of spoken English. Learn about English stress, sounds, and melodies, in addition to American slang, idioms, phrasal verbs, vocabulary, common phrases, culture, and more! 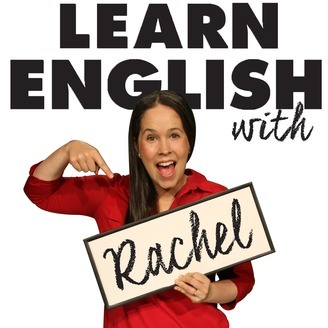 Each episode is a CONVERSATION, so join the conversation now and learn how to communicate naturally in English. 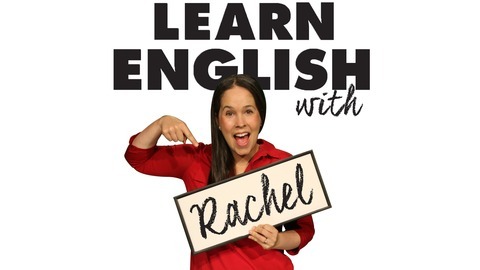 To submit a question for consideration on the podcast, email help@RachelsEnglish.com and put 'podcast question' in the subject. Do you make New Year’s Resolutions? Today we discuss the kinds of resolutions we make, and discuss tips on how to keep them. Learn what a SMART goal is, and learn the idioms and interesting vocabulary words we use when speaking: ‘to be on to something’, ‘flip on its head’, ‘just in the nick of time’, ‘down to the wire’, ‘went by the wayside’, and more!